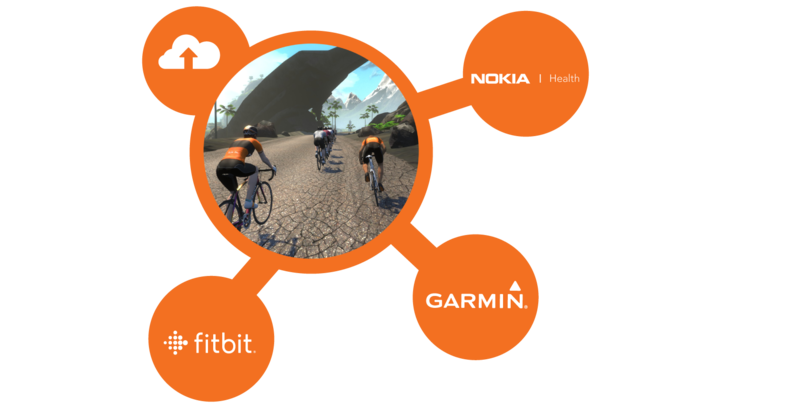 Garmin and Zwift are now closer than ever. We worked with the leading fitness analysis company to make linking your accounts quick and simple. Once you sync up, every race or ride uploads automatically, so you can stay focused on those workouts, and not logging them. To get it up and running, just head to the Zwift Connections page, click on the Garmin Connect button, and authorize your app. Track your weight with Fitbit or Nokia Connect(formerly Withings). Connect your account to Zwift, and that data will transfer automatically.